I’m a HUGE Harley Quinn and Joker fan, so when Jessica of Fangirl Polish came out with the Mad Love Duo, I had to have it. It was released for Valentine’s, but they are such a classic pair that I feel they’re good all year long. Up first, Puddin’, the Joker inspired part of the duo. Puddin’ is a white crelly with purple and green glitters throughout. I’m a huge purple and green fan to begin with, but it being Joker inspired makes it that much better. She really chose the perfect shades of purple and green for him as well. The formula was excellent, went on like a dream, and dried super fast, as most of her polishes do. The polish was opaque in two coats, but I put on a third to add just a hint more glitter. 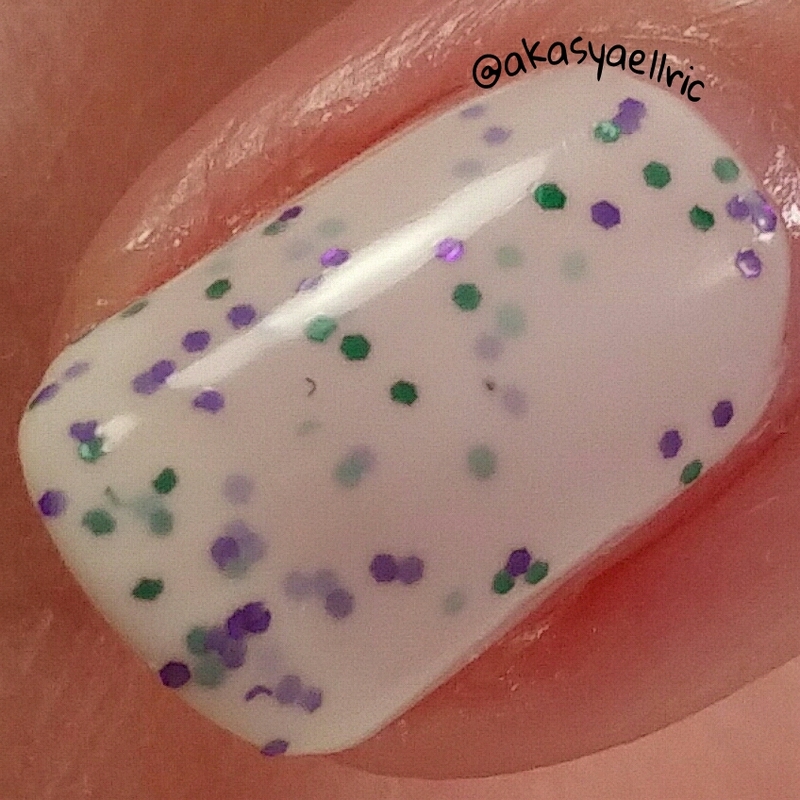 Products used: Dainty Digits Polish Glitter Be Gone basecoat, Fangirl Polish Puddin’, I, A.M CustomColor DiamondPRO topcoat. Up next we have HARRLEEY! the Harley Quinn part of the duo. If you’ve ever watched Batman The Animated Series, you’ll hear that in the Joker’s voice right away. HARRLEEY! 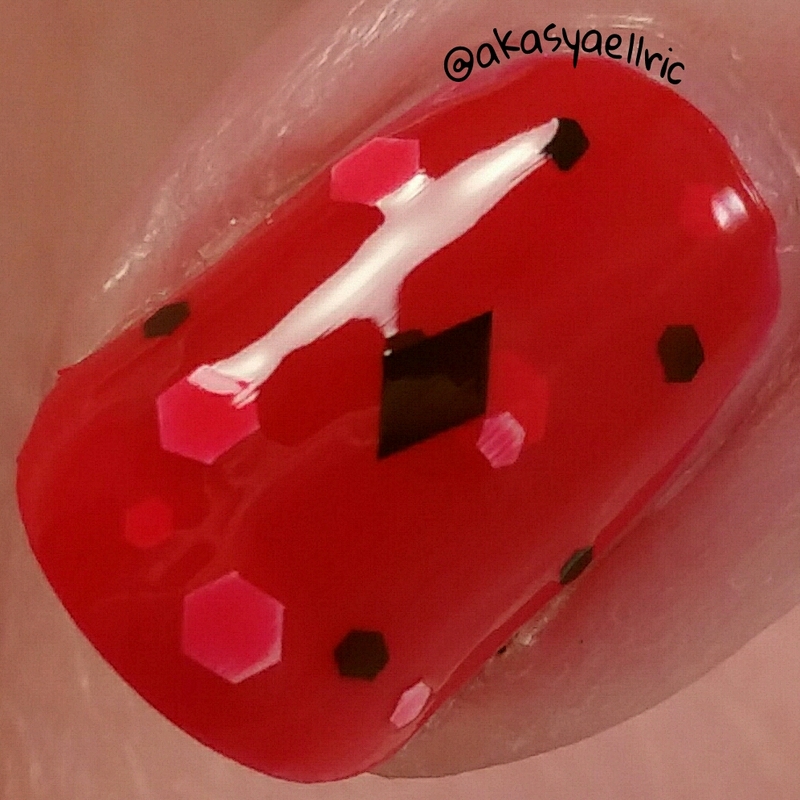 is a beautiful red crelly with black and white hexes and black diamond glitters. 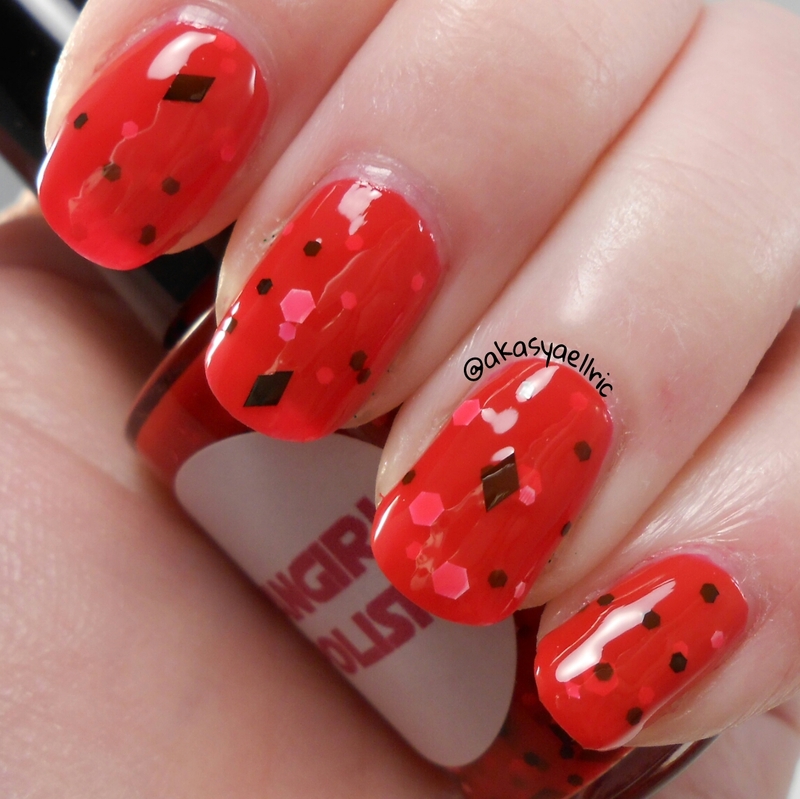 This is the best Harley inspired polish I’ve ever seen, hands down. I felt like walking around calling my husband Mistah J, and had a strange need for a giant hammer while wearing it. This is going in my core I love group for sure. I adore this polish, so much. I did have to fish for the diamonds just a bit, but nothing outrageous. The formula was creamy and dreamy, and went on perfectly. Dry time was excellent, and it was opaque in two coats. 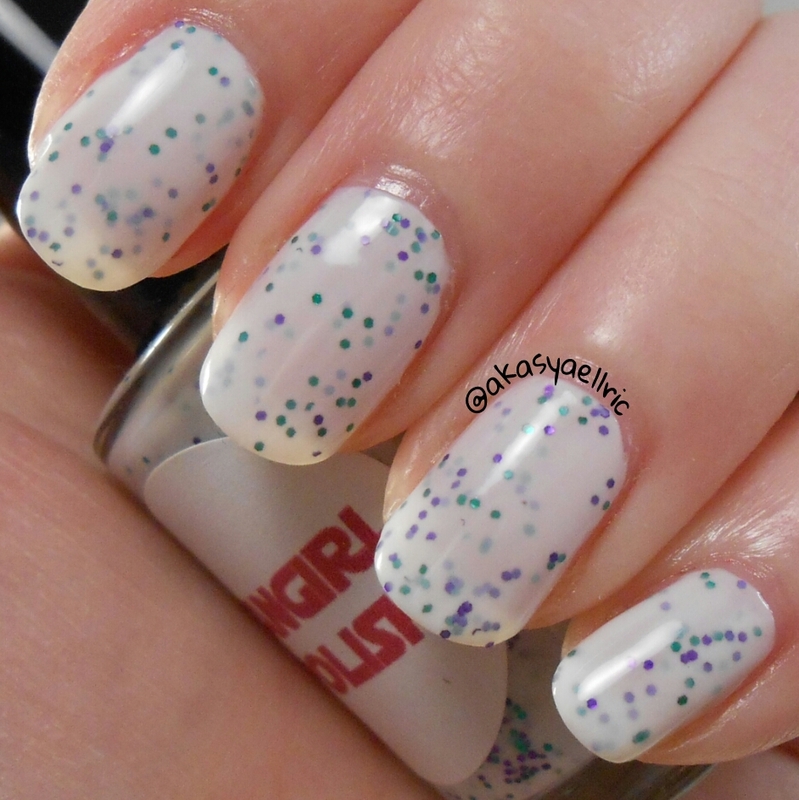 Products used: Dainty Digits Polish Glitter Be Gone basecoat, Fangirl Polish HARRLEEY!, I, A.M CustomColor DiamondPRO topcoat.